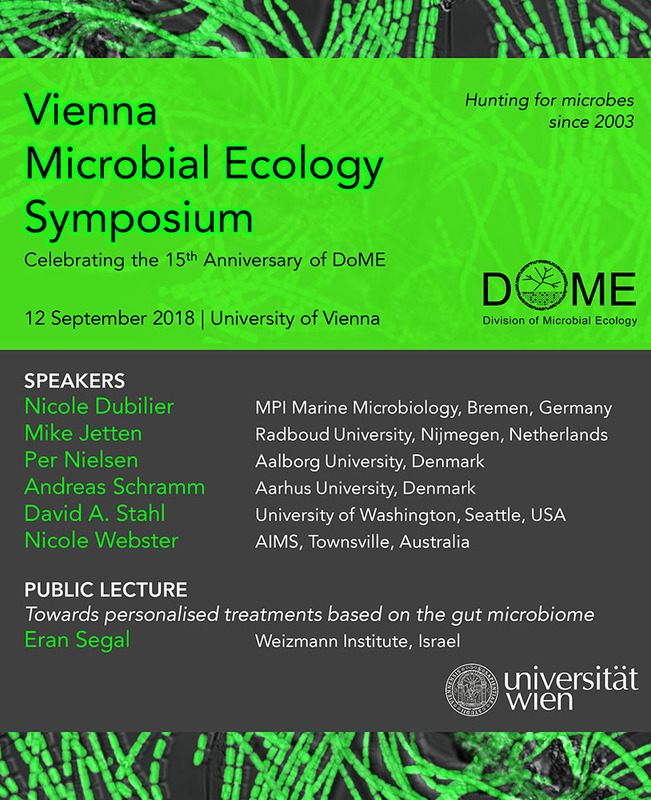 The Division of Microbial Ecology (DOME) was founded in 2003 at the University of Vienna and consists of more than 80 people excited in all aspects of microbiology and microbiome research. We will be celebrating our 15th anniversary with a Microbial Ecology Symposium and a Public Event on the human microbiome on September 12th, 2018. We are very much looking forward to lectures by Nicole Dubilier, Mike Jetten, Per Nielsen, Andreas Schramm, David Stahl, Nicole Webster and the public lecture Towards personalised treatments based on the gut microbiome by Eran Segal.